Government refuses to participate in preparatory dialogue abroad. The Ministry of Labour: new projects to reform civil service. Alsadig Mahdi to address Umma Party symposium next Saturday. President Al-Bashir to chair meeting of National Strategic Planning Council today. AUHIP invites government and opposition movements to the preparatory conference. ((National Dialogue)) calls to curb corruption. Government: (FATF)'s decision eases money transfers to and from Sudan. Eritrea denies rumors on death of President Afewerki. Minister of Foreign Affairs: Border demarcation with Ethiopia at the end of 2016. Juba denies rumors on Salva Kiir's health deterioration. Ministry of Health expected to prevent the use of table salt in Sudan. Juba: Kiir in hospital in Johannesburg. Government: parties should be registered to participate in the dialogue. Leader in NCP: National dialogue negotiates power sharing. ((448)) thousand South Sudan refugees in Sudan. Abu Garda demands transparency in reforming health system. National dialogue discusses corruption issues. High scientific prize to a female Sudanese doctor in Canada. Opening of two universities in Algezira state. The introduction of the winter time in Sudan. Revolutionary Front kidnaps children from Abyei. Ngok Dinka complains to international organizations about Revolutionary Front. Governance committee in national dialogue discus constitution and fight against corruption. Assistant of the President: political parties will not participate in preparatory meeting in Addis Ababa. 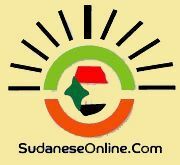 Sudan and Italy agree on development of bilateral relations.